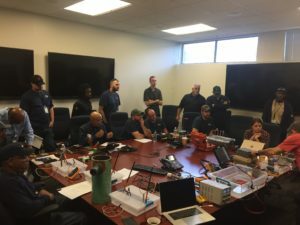 News & Events – Matergenics Inc.
We had a fantastic two-day course about the cathodic protection and materials aspects of communication towers for SBA’s technical staff. TES hosted the seminar in Dallas. 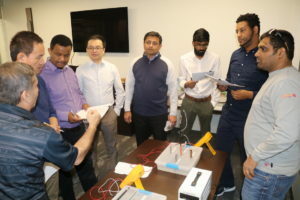 The attendees truly enjoyed the course and were very much engaged in the subject matter. 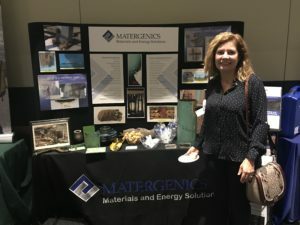 The attendees gave Team Matergenics high marks for the organization and content of the corrosion engineering course, which included lectures, hands-on experiments, and on-site demonstrations. 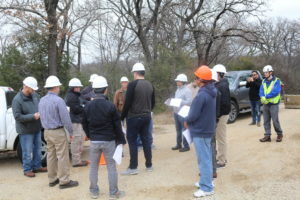 We very much enjoyed their participation during the class and the site visit. SBA and TES Teams: thank you for making this fantastic event possible! It is our pleasure to have you here as our guest. This is to let you know that it is you that we care about, and you are very important to us. 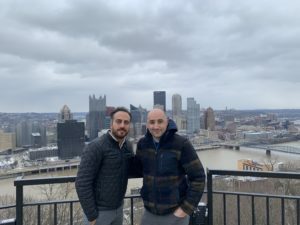 As you may already know we have recently purchased the Exova-Pittsburgh testing facilities, modern corrosion and materials testing equipment from Exova LLC. This is wonderful news, because we are now able to lead team Matergenics in a more beneficial and focused manner by introducing new technologies, innovation, testing and solution-based engineering. We’ve surely come a long way. We started out as MATCO Associates, a small engineering firm I established in 1994 near downtown Pittsburgh, Pennsylvania. 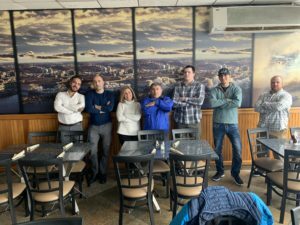 Our business grew during those years because of your support, and also the hard work of our team members to provide you with the best service. In 2008 Valmont Industries, our largest client and a public company, purchased Matco, and later, sold it to Exova in 2015. The opportunity came this year for us to gain ownership once again of the engineering firm I established in 1994. We are now fully operational as Matergenics Inc. (www.matergenics.com), and look forward to providing you with the same great services that we were always pleased to deliver in the past. Please keep in mind that Matergenics consists of a diverse group of professionals with a combined skillset that has many layers of expertise combined with insightful knowledge in the fields of materials, corrosion engineering and failure analysis. Our team remains the same and growing. 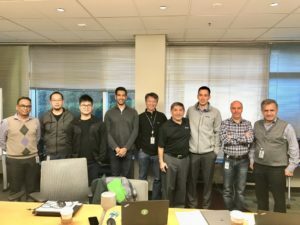 We have been adding technical personnel during the last six months locally here in Pittsburgh and in Vancouver, Canada, our subsidiary that is growing exponentially at this time. 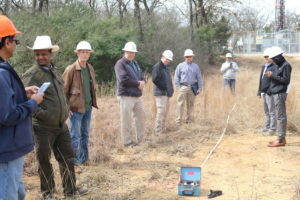 Equipment and capability upgrades include a brand-new Tescan Vega 3 scanning electron microscope with EDS analysis, a comprehensive soils lab for corrosivity testing , advanced electrochemical testing techniques, coatings shielding of cathodic protection testing, metallurgical failure analysis, onsite corrosion risk assessment and corrosion mitigation through coatings and computer-aided design of cathodic protection. These technologically advanced approaches provide the cornerstone to new understandings of complex materials failures and corrosion risk assessment of aging infrastructure. Whether large or small, we value your business and look forward to working with you for many years to come. A special thank you to American Airlines, Clad Metals, Mitsubishi, Port Authority of Pittsburgh, Seagate, Cyrus Rice Water Consultants, Durabond, Momentive, The Techs, Weldon Labs, Berry Metal, Eaton Corporation, AC Dellovade, TIMET, Westinghouse, Columbia Gas, Ceati, S&ME, Nova Chemical, SBA, Southern California Edison, Kern River Gas Transmission Company, Cayman Utility Company, PEPCO, Biogen, Hope’s Windows, and our many other clients for supporting us over the years. Mr. Roger’s once said “There is something of yourself that you leave at every meeting..”. 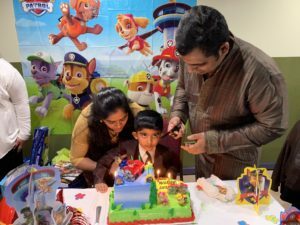 Let the festivity begin, let’s celebrate the season with good cheer! 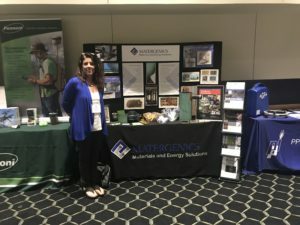 Please visit Matergenics Museum of Materials and Failure Analysis at 100 Business Center Drive, Pittsburgh, Pennsylvania: Monday through Thursday, 1:00-4:00 PM. You may call 412-788-1263 if you have any questions. Matergenics’ Museum of Materials and Failure Analysis is established in Pittsburgh’s Matergenics Laboratories showcasing our lifelong accumulation of knowledge of materials and failure analysis. This museum, above all, is a storehouse of knowledge representing the fields of Materials Engineering and Corrosion. The purpose of this museum is to collect, preserve, interpret, and display materials failures of scientific significance for the education of Universities, Materials Scientists, Commercial and Industrial Companies and the public. From a visitor or technical community perspective, the purpose can also depend on one’s point of view. A trip to Matergenics museum can be an entertaining and enlightening way to spend the day. To a technical person, this museum might be seen as a way to learn from past failures and failure analysis and see failure analysis as a positive event. 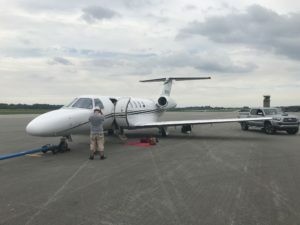 An engine that was shut down midflight because it was contaminated by leaking oil. Samuel West, who founded another Museum of Failure, which lovingly showcases consumer flops (e.g. Harley-Davidson eau de toilette), has charged that “very few companies and organizations learn from their mistakes. Matergenics Presents a Paper at PUC Conference on September 5, 2018. Exelon Corporation (NYSE: EXC), now including the Pepco Holdings utilities, is the nation’s leading competitive energy provider, with 2015 revenues of approximately $34.5 billion. 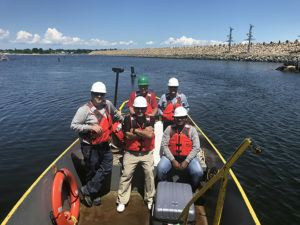 Exelon’s six utilities deliver electricity and natural gas to approximately 10 million customers in Delaware, the District of Columbia, Illinois, Maryland, New Jersey and Pennsylvania through its Atlantic City Electric, BGE, ComEd, Delmarva Power, PECO and Pepco subsidiaries. • Coating evaluation and failure analysis. 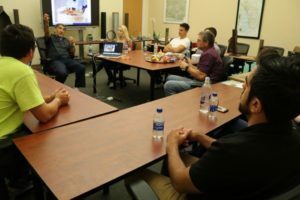 Dr. Zee taught NACE CPII Class at Claysville Training Center in West Virginia during during May 6 through May 10th. 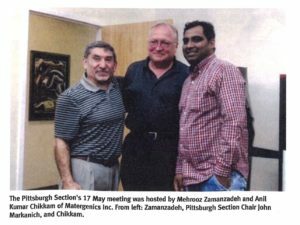 ASNT Pittsburgh Chapter hold their monthly meeting at Matergenics 100 Business Drive , Pittsburgh, Pa. Dr. Zee presented a talk on Non-destructive techniques in corrosion risk assessment of underground facilities. May’s Speaker will be Dr. Mehrooz Zee. Dr. Zee’s presentation for the APA will address the corrosion risk assessment and corrosion mitigation in oil and gas in industry. 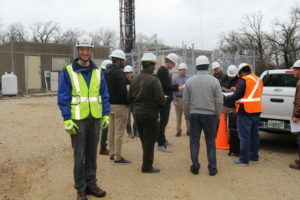 Time permitting he will present case histories on coated pipeline failure, cathodic protection shielding, AC interference and failure analysis root cause investigation case histories for gas pipeline explosions in Pennsylvania. He is a NACE Certified Corrosion Specialist with over 28 years of practical experience in corrosion engineering, materials selection/design and cathodic protection/coatings. He has worked in the oil and gas, and electric power utility industries throughout his career and has resolved a wide range of materials and corrosion engineering solutions for these industries. He has been setting up or improving corrosion control assessment program for large energy related companies. 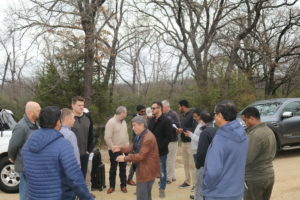 He has been active in development of standard practices that are geared towards corrosion risk assessment, corrosion mitigation, cathodic protection, coating assessment, and repair of damaged coatings for NACE (National Association of Corrosion engineers) and IEEE (Institute of electrical and electron engineers). Underground coated structures such as pipelines, transmission towers & poles, galvanized guy anchors, tanks and coated galvanized anchors are aging and are at risk of corrosion failure due to coating shielding cathodic protection, localized corrosion and stress corrosion cracking. 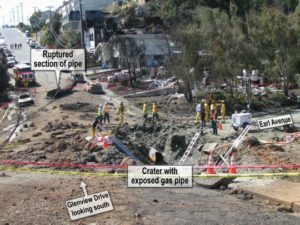 Those tasked with maintaining these structures require an in-depth understanding of the locations where these aging pipelines are at risk of localized corrosion due to cathodic protection shielding. Corrosion failures in aging pipelines are either sudden catastrophic ruptures or gradual leaks due to localized corrosion. Corrosion failures in transmission structures or galvanized anchors are also at risk of loss in thickness and catastrophic ruptures. Major factors associated with these corrosion areas are coating dis-bondment, blistering/delamination, the presence of moisture, corrosive soils, inadequate cathodic protection and cathodic protection shielding. These areas have a much higher statistical probability of catastrophic failure and rupture. In pipelines, most of the time initiation of stress corrosion cracking (SCC) and pitting corrosion are detected by coincidence in excavation and digs and is not targeted or predicted by analysis of corrosion performance parameters. Internal or In-line inspection (ILI) tools have limited capability for detecting or identifying stress corrosion cracking and pitting corrosion initiation. Here we would like to elaborate on corrosion risk associated with coatings that shield cathodic protection. Key words: cathodic protection shielding by coatings, stress corrosion cracking (SCC); pitting corrosion; corrosion risk assessment; soil resistivity; soil corrosivity mapping; coating dis-bondment; cathodic protection. What is cathodic protection shielding? Definition: cathodic protection shielding is defined as preventing or diverting the cathodic protection current from its intended path. Figures 1 – 7 show the behavior of the “shielding” and so called “non-shielding” coatings. Nonshielding Coating System: A coating system with a failure mode (loss of adhesion, etc.) that does not prevent distribution of cathodic protection current to the metal substrate. Shielding Coting System: (1) Protecting; protective cover against mechanical damage; (2) preventing or diverting cathodic protection current from its natural path. There are over 2.9 million miles of pipe lines many of them aging coated pipelines transporting natural gas, oil, and hazardous liquid in the United States. Close to 50 percent of gas transmission and gathering pipe lines were constructed in the 1950’s and 1960’s, over fifty years old. 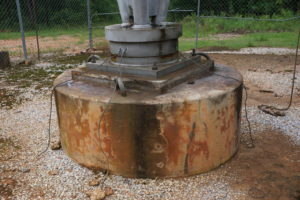 Barrier protective coatings and cathodic protection (CP) have been used to prevent corrosion. There are 20 million transmission and distribution, over 20% with barrier coating. However, dis-bondment tape or coating in conjunction with cathodic protection shielding can result in less than adequate protection, no protection, pitting and or stress corrosion cracking in corrosive soils. Billions of dollars are spent each year on corrosion prevention and maintenance on oil, gas, pipeline, power generation and other infrastructure assets. To address this issue, NACE International and the NACE Southern Nevada Section invite you to attend the 2017 Western Area Conference. 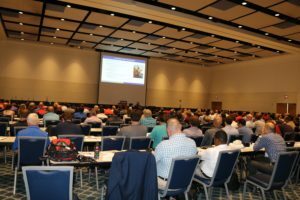 Featuring unique educational presentations, forums, and new technologies on the exhibit hall floor, this conference will be your opportunity to learn about local corrosion issues from experienced local experts. Matergenics-Dr. Zee presented a short course on “Coatings in Conjunction with Cathodic Protection“. Dr. Zee Presented a lecture for NACE LA Section on Feb 8, 2018. Pipelines are among the most common means used for transporting hazardous gases and liquids in the United States. However, underground pipelines are aging and are at risk of corrosion failure due to coating shielding cathodic protection, pitting corrosion and stress corrosion cracking. Those tasked with maintaining these pipelines require an in-depth understanding of the locations where these aging pipelines are at risk of localized corrosion attack and stress corrosion cracking due to cathodic protection shielding. 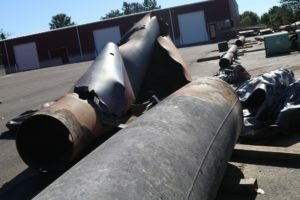 Corrosion failures in aging pipelines are either sudden catastrophic ruptures or gradual leaks due to localized corrosion. Major factors associated with these corrosion areas are coating disbondment, blistering/delamination, the presence of moisture, corrosive soils, AC interference, inadequate cathodic protection and cathodic protection shielding. These areas have a much higher statistical probability of catastrophic failure and rupture. Most of the time initiation of stress corrosion cracking (SCC) and pitting corrosion are detected by coincidence in excavation and digs and is not targeted or predicted by analysis of corrosion performance parameters. Internal or In-line inspection (ILI) tools have limited capability for detecting or identifying stress corrosion cracking and pitting corrosion initiation. Here we would like to elaborate on corrosion risk/SCC and cathodic protection shielding by coatings.